Helping each client find their own piece of Colorado. discovering contemporary, traditional and emerging art in unique and creative spaces. See neighborhood map. neighborhood is a great place to explore on foot. See neighborhood map. or treat yourself to a delicious dining experience at one of the neighborhood's many restaurants. The neighborhood is also home to Cherry Creek Shopping Center, the Rocky Mountain's upscale retail destination, featuring 160 stores, 40 of which are exclusive to this area such as Neiman Marcus, Tiffany & Co., Burberry, Louis Vuitton and RH. Other favorites include Nordstrom, Macy's and the ever-popular Apple store; plus, there are not-to- be-missed dining spots like Elway's and Kona Grill. See neighborhood map. Square and the newly renovated Denver Union Station in historic Lower Downtown (LoDo), where Victorian buildings now house restaurants, galleries, shops, bars, brewpubs and coffee houses, or head to Denver Pavilions where you'll find shops, restaurants, bars and a movie theater. 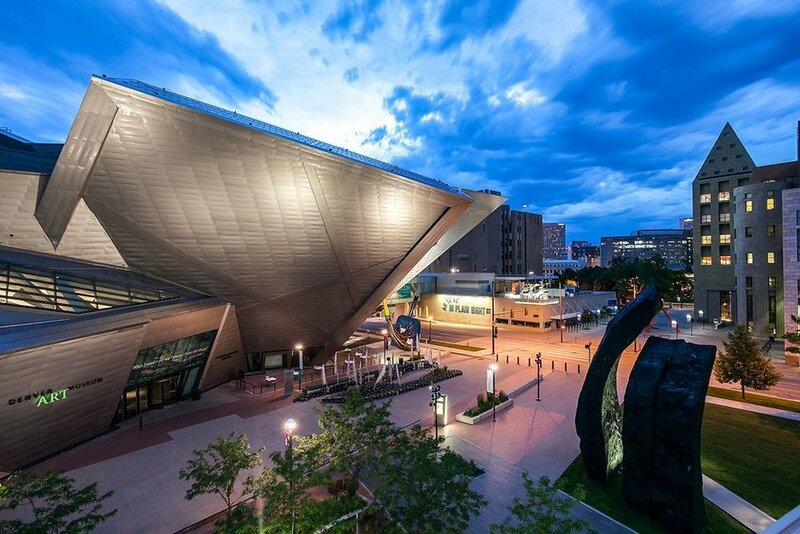 You can also discover Denver's neighborhoods by bike, thanks to the B-Cycle bike-sharing program and don't miss the chance for a photo with everyone's favorite Blue Bear public art sculpture greeting visitors at the Colorado Convention Center. 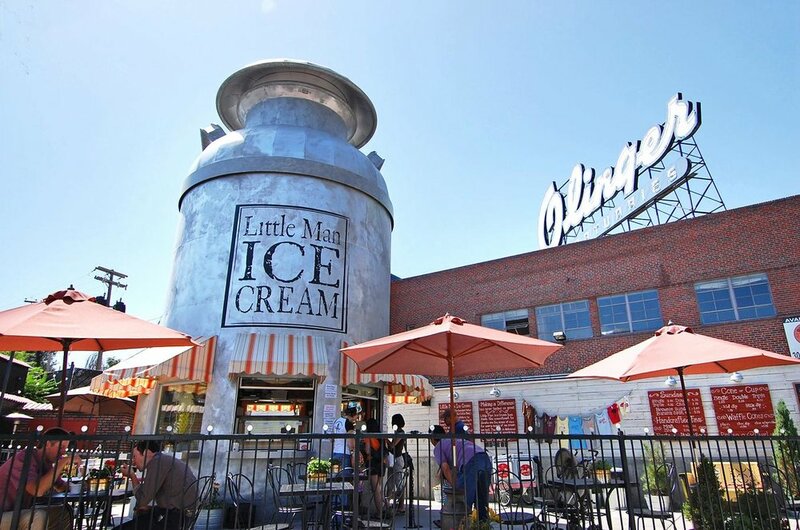 See more of this neighborhood through the Downtown Denver Itinerary or map. Colfax. Don't miss local favorites -- the Tattered Cover Book Store housed in the historic Lowenstein Theatre, the Twist and Shout record store, Voodoo Dougnut, the Sie FilmCenter for independent films and gyros at a Greek Town diner. See the East Colfax neighborhood map. Kerouac's On the Road. Today, historic Five Points' creativity and vibrancy live on in a fascinating fusion of old and new. Visitors can stop in at innovative coffeehouses and craft breweries, visit museums telling stories from the past or eat at beloved soul food and barbecue institutions. See the map to start exploring Denver's Five Points Neighborhood. Highland Bridge and downtown Denver. See the Highlands neighborhood map. The River North Art District "where art is made" goes by the nickname of "RiNo" and has even adopted a rhino design for its official logo, so look for creative rhinos in art and signage all around the neighborhood! The district's interesting blend of urban charm and unique industrial revival makes it a great destination for visitors. 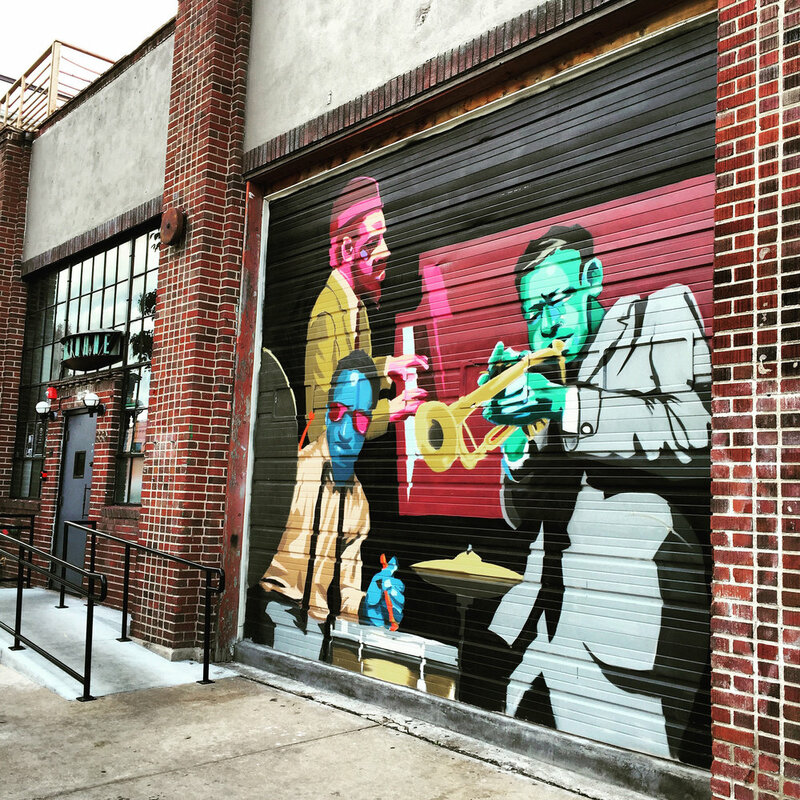 Historic warehouses and factories now house jazz bars, restaurants, brewpubs, art galleries and working studios. RiNo boasts a diverse mix of creative businesses ranging from visual artists, designers and furniture makers, to craft distillers and brewers, winemakers, creators of unique outdoor gear and small-batch coffee roasters. The art definitely extends beyond gallery walls in this neighborhood, with its colorful and innovative street art murals in alleys and on buildings around almost every corner! 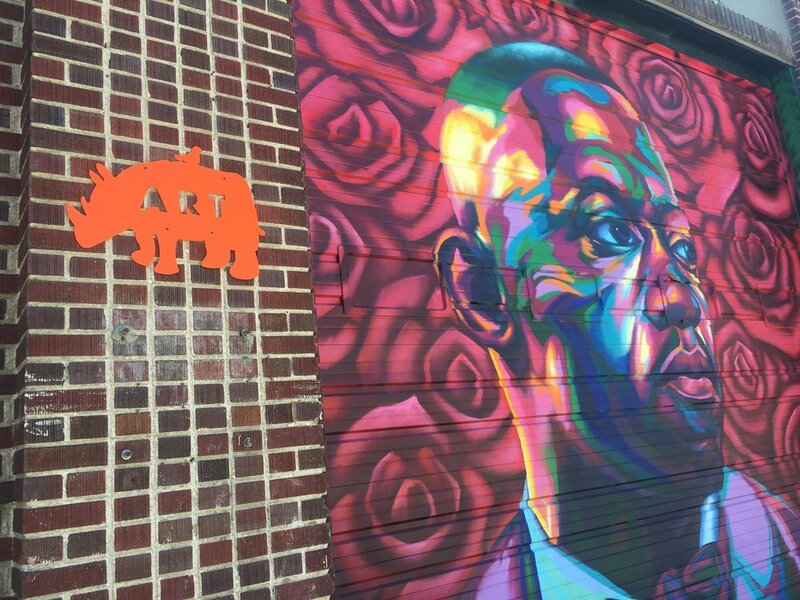 See the map to start exploring Denver's RiNo Art District now. Lonely Planet named River North one of the top 10 neighborhoods to visit in the U.S.
where city gives way to prairie. It's not unusual to spot golden eagles soaring in the skies above and bison wandering the wilderness. Stapleton's skate park, six community pools, three community gardens and 50 parks also beckon outdoor lovers. After enjoying the outdoors, relax and take advantage of the shopping and dining at The Shops at Northfield Stapleton, E. 29TH Avenue Town Center or Lowrys Town Center. See neighborhood map. agriculture thrived. Arvada boasts 90 parks within city limits and festivals and farmer's markets nearly every weekend. The city's most notable attraction is the Arvada Center for the Arts and Humanities, housing spaces for theatrical and musical productions and visual art. See the Olde Town Arvada neighborhood map. days as a rough road used for hauling produce into the city. 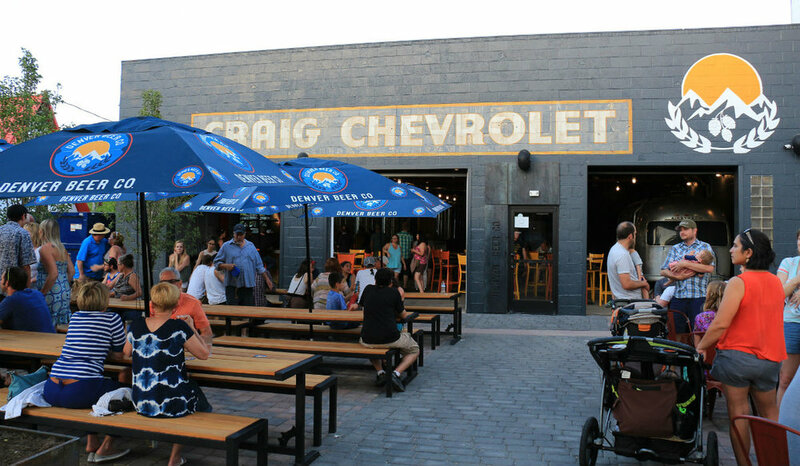 Today, South Broadway and the Baker neighborhood in Denver offer an eclectic mix of neighborhood taverns, vintage clothing stores, unique eateries, bookstores, art galleries, ethnic restaurants, craft shops, an art house movie theater and hip live music venues. South of Alameda Street, Broadway becomes "Antique Row," a bargain hunter's dream with an amazing collection of nearly 100 antique stores packed into just 18 blocks. Whether you are looking for something to do, or something to buy, there's a good chance you'll find it on South Broadway. See the South Broadway neighborhood map. coming diverse vibe. See neighborhood map. Take a break from the busy downtown scene in lovely Washington Park - dubbed "Wash Park" by locals. The area has a Rockwellian feel, with its lush landscaping, awning-covered storefronts and family-friendly atmosphere. Washington Park itself has two lakes, two formal flower gardens, tree-lined paths and seemingly endless expanses of green grass. It's a fitness mecca for Denverites, and on any given day you're likely to spot people walking their dogs, running, biking, paddle boating or doing yoga. It's no wonder that it's consistently chosen as Denver's favorite park. Nearby is South Pearl Street, once the site of the city's first trolley car route, now home to galleries, wine and cocktail bars, specialty shops, boutique and high-end clothing stores and some of Denver's best local dining. Visit Old South Gaylord where you can experience local restaurants, galleries and shops. See the Wash Park neighborhood map.